For over sixty years, Natural Stone Institute has served as the authoritative source of information on standards of natural stone workmanship and practice and the suitable application of natural stone products. Membership in the association is worldwide and includes nearly 2,000 natural stone producers, exporters/importers, distributors/wholesalers, fabricators, finishers, installers, and industry suppliers — all committed to the highest standards of workmanship and ethics. Miami Circle Marble & Fabrication’s membership with Natural Stone Institute ensures that our standards for quality, safety, and customer service are in-line with the very best in the natural stone industry. We are proud to be a part of such a prestigious organization. We are also qualified members of NSI’s CEU Speaker Bureau. Find out more about the programs we have available for continuing education. 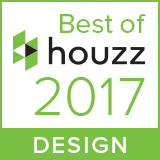 The Best Of Houzz is awarded annually in three categories: Design, Customer Service and Photography. Design award winners’ work was the most popular among the more than 40 million monthly users on Houzz. 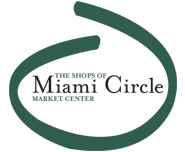 Miami Circle Marble was awarded the Customer Service honors which are based on several factors, including the number and quality of recent client reviews.